Chemistry is interesting but vast for learning with its elements and symbols. Learning Chemistry with interest at basic level or advanced level depends upon the mental make up of students and the degree of seriousness they show forth in learning the subject. What makes Chemistry learning tough? Memorization: It is normally felt that those who opt for medicine or veterinary science opt for Organic Chemistry. Organic Chemistry demands lots of skills for memorization which may twist students out of their brain. 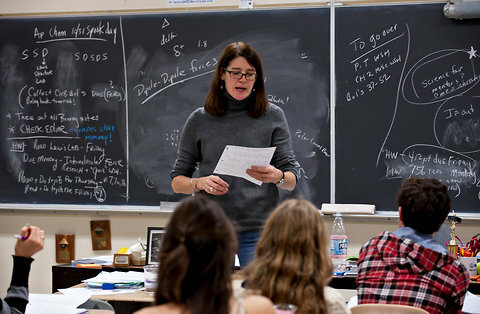 Insufficient Math knowledge: The problem with Chemistry learning arises when students possess insufficient Math knowledge. A good understanding of Algebra and even Geometry helps students get at unit conversions with ease. Procrastination: Every day learning is essential for easy Chemistry. Cramming for tests and reading through problems will not make good for a Chemistry student. Working Chemistry problems on a daily basis is also necessary for students to do them with ease. Vastness of the subject and lab work: Learning Chemistry poses problems to students with its vast chapters. Further, students need to concentrate on outside activities apart from classroom listening in Chemistry learning. They need to focus on lab and experiment Chemistry concepts in real-life background to understand them better. All these make them find the subject hard and take recourse to one kind of help or the other. Learning Chemistry with the help of online Chemistry tutor is the safest and easiest way to excel in the subject. The video clips, interactive games, hands on experiments and real life situations used by Chemistry tutors in virtual classrooms make the subject lively, interesting, effective and fun for students. Chemistry facts are amazing with aspects that invite students to learn them with curiosity, a spirit of adventure and through innovative experiments. But understanding them without effort is out of question and you need a tutor’s help to make them interesting and wonder some to learn. Doing Chemistry problems on white board helps students comprehend the steps without struggle and learn the methods with expertise. Some tutoring centers have in built calculators in the white board that aid them well while solving Chemistry problems. Tutor help is essential for reviewing basic skills in the subject before entering tough aspects of learning Chemistry. What makes Chemistry homework hard? Chemistry homework is a great struggle if you do not have good knowledge of Chemistry concepts and lack in taking class notes .The subject expects you to gear up your skills every now and then and switch over to a new set of skills quite often so as to be in the track. Once you miss classes or do not read the text beforehand, your Chemistry homework is a fiasco landing you in trouble many a time. Equations and chemical bonding are not easy to do and you miss your grades very often. Seek Chemistry homework help from expert tutors who understand your struggles and offer proper homework solutions. Same way, assignment writing in Chemistry is also not an easy cake but it needs much of concentration and presentation with proper knowledge in topics. Chemistry assignment help is the best way to explore Chemistry topics and come to an understanding about presenting your assignments. The online writers know how to represent your topic, what examples to provide, how to make them relevant and how to tackle tough Chemistry problems. 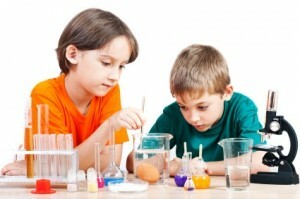 Doing Chemistry assignment under their guidance is good for you to grasp the concepts with unique insights and do your assignments for better grades. Learn Chemistry with virtual tutors for long standing understanding of the topics, good subject skills and methods through which you can learn the subject in a lively manner. Looking for some cool tips on great chemistry help? Here, you are getting the same. Read further to find out how you can learn chemistry without any trouble at all. Understand “what is chemistry”: why do you need to study chemistry? What does chemistry teach you? Chemistry is a branch of science that deals with the ways in which different substances interact with one another to formulate new substances. Regularity is the key: This one is amazingly true for any subject that you need to master. However, regularity and true consistency is indeed required to master a subject like chemistry. Attend all your chemistry lectures regularly and don’t even think to miss a single one. Take down notes every day and create your reference material for preparing for tests and exams. Read organic chemistry beforehand: Organic chemistry is one chemistry subject that gives every single student a big thunder shock once in a while. So, the key is to read organic chemistry prior to attending your lectures. You will thus not get lost in a dreamy world, when the teacher will be explaining reactions. Write down reactions: If equations and reactions have given birth to instability in your minds, then your stability comes by writing down everything. Write down every complex equation and learn it. Seek help: if nothing seems to be working for you, getting help is a good alternative. Turn to home tutoring or online tutoring for effective assistance.